Hello, Monday! I've got a couple of cards to share with you today for two different challenges. 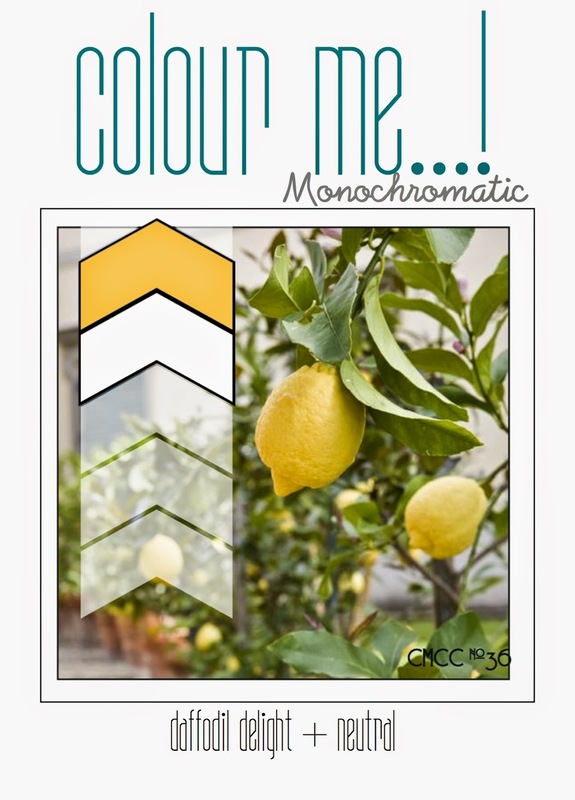 The first is for the Colour Me Monochromatic challenge. I used Daffodil Delight ink and a Studio Calico mask to create the background. 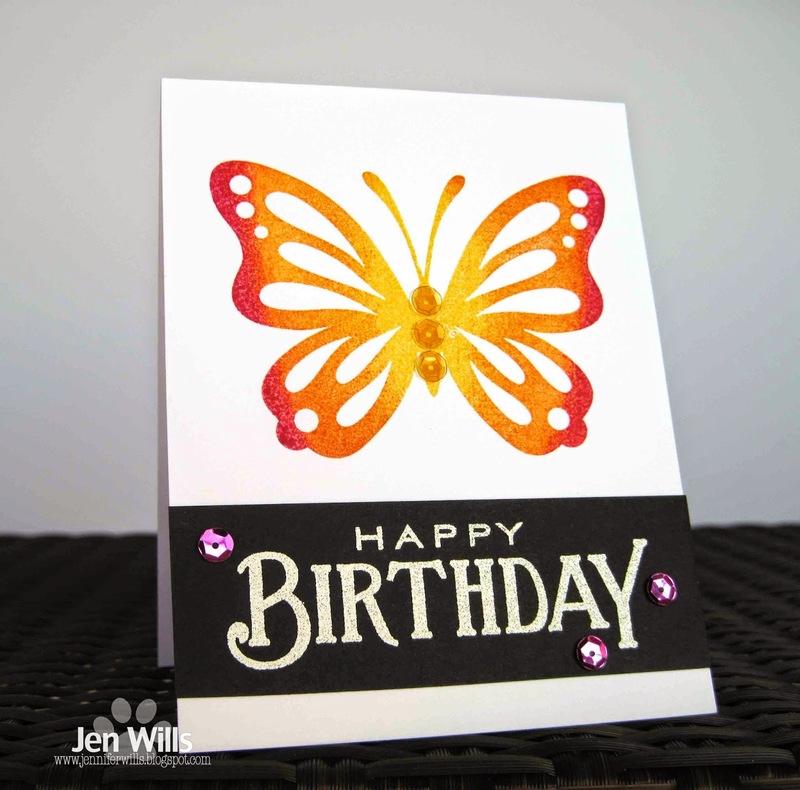 The sentiment is CAS-ual Fridays, the butterfly is Papertrey Ink and the sequins are Doodlebug. I love how the yellow peeks through from behind the butterfly. It's quickly becoming my most used die! Next up is The Colour Throwdown challenge. I love this colour combo and the fabulous bottles in the photo would brighten up any room. How cool would they look with some bright white daisies in them? Anyway on to the card... I used the Papertrey Ink stamp version of the die I used on the card above. I rock and rolled the stamp it in the three challenge colours and then added an embossed sentiment below it. Unfortunately the sequins I added look a bit purple in the photo but they're actually a Melon Mambo colour in real life! That's it for today. Hope you have a lovely week! Two absolutely gorgeous cards. Love the colors on both...the inking on the second has me drooling though...love those colors together too! Both of your cards are beautiful but the second one really stands out especially with your awesome rock n roll stamping technique!!! Thanks for joining us for the Color Throwdown Challenge!!! Gorgeous cards, Jen! I like the first one best, probably because I always fall for chevrons and because I love that sentiment from CASual Fridays. Two beautiful cards Jen - the first one pips it for me though, the black butterfly against the yellow is so striking and the sentiment is beautiful! Thanks for joining us over at Colour Me...! this week. Beautiful cards, Jen -- and you may have the best rock-and-roll technique I've ever seen on that butterfly! Wow! WOW! Your cards totally POP! 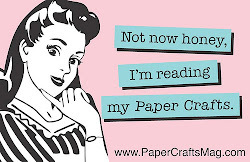 LOVE your graphic look! Thanks for joining us as The Color Throwdown! Fabulous designs! Love the look of your rock and rolled butterfly image. Thanks for joining us at The Color Throwdown! Love the big huge butterfly, it looks like it's going to take flight. These are just gorgeous--love them both. I've got that set out right now, in fact. Thanks for inspiring me with some more ideas for those stamps and dies. I love the bold striped background behind the butterfly - and it's all perfect with the large sentiment!